In Australia so far, only two GM crops are grown commercially, and these are Canola and Cotton which we eat as cottonseed oil, often labeled vegatable oil. The Australian Food and Grocery Council of Australia estimate that most processed foods have GM ingredients. Our labelling laws mean most of these ingredients escape labelling. Papaya from Thailand have also tested positive to GM. "..it would appear that GM seeds for and EU banned variety of papaya have been illegally distributed to farmers across Thailand". Around the world, eight countries in N and S America grow 90% of the world’s GM crops. Two countries, Roumania and Burkino Faso, that grew GM crops in 2015 planted none in 2016. The first 'GM Animal' is a GM salmon that has been sold in Canada with no labelling. Animals in Australia could be fed GM crops like soy, corn or canola. A genetically engineered pig was trialled and failed in canada. GM Salmon has been approved to be grown in Canada and eaten in Canada and the US. Cows in the US may be injected with a GM hormone, Posilac, designed to increase milk production. It also increases infection and so leads to more pus in the milk. It increases a hormone linked to breast and prostate cancer in humans. The APVMA is currently considering an application to use this hormone in Australian cows. 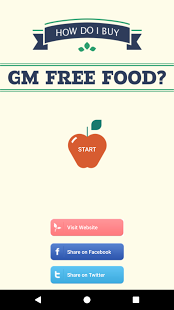 If you want to know more, including how to avoid GM go to the Shop GM FREE page.